The Newport Folk Festival is upon us, and FUV is once again headed to Fort Adams State Park with NPR Music to bring you some of the sights and sounds. 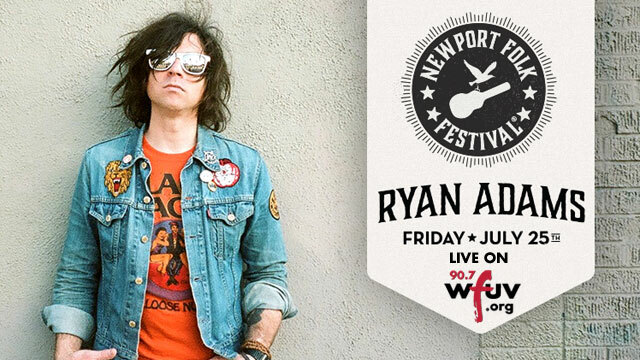 Our coverage kicks off Friday, with the opening night performance by Ryan Adams. Although the prolific songwriter has a deep catalog to draw from, we're likely in for a lot of new material as Ryan is set to release a self-titled album on September 9th. Listen in and find out, Friday at 6pm on 90.7FM or online. Then all weekend long, FUV will be at Newport's main Fort Stage, recording performances and posting them to the FUV Vault. We'll archive as many sets as we can as fast as we can, and Team FUV will also be working with NPR Music to bring you exclusive video performances too.